A contemporary take on a classic design, the stylish oval links in this solid sterling silver bracelet makes it a winning choice in the style stakes and an ongoing best seller. Wear on its own or layer it with other bangles. 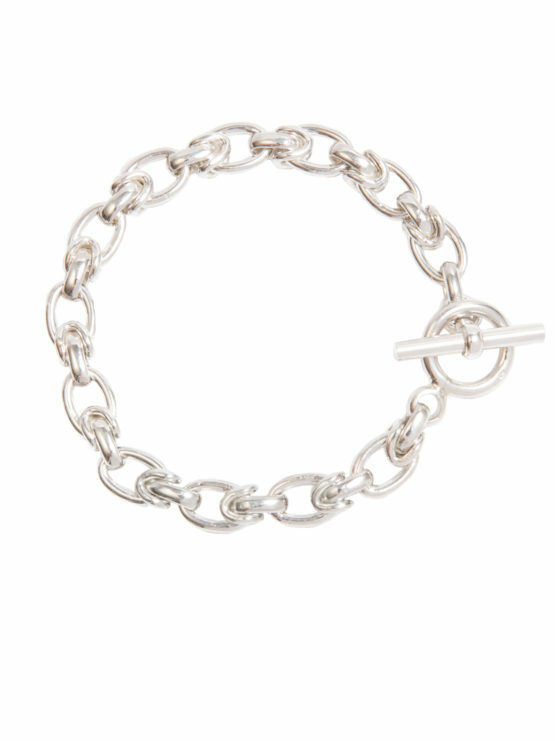 The bracelet measures 19cm in length, weighs 29grams and is 1cm wide.